Earlier this month MSF announced all WATSAN activities would be reduced to 50% by the end of February and the project would finish at the end of April. 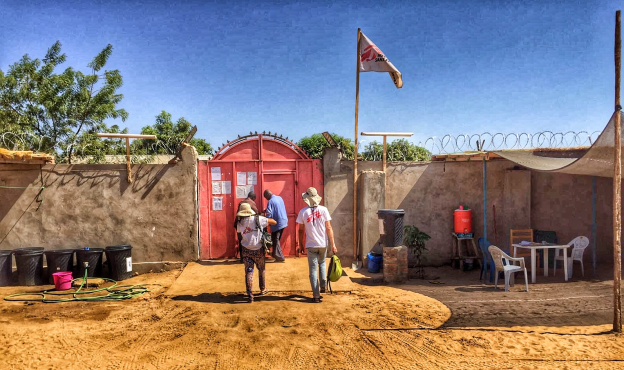 In the lead up, and to ensure the water sanitation work continues, MSF has been calling on all humanitarian and development agencies in Chad to increase their efforts in responding to the hepatitis E outbreak in Am Timan. Further highlighting the urgency, this month, the MOH (Ministry of Health) publicly declared a hepatitis E outbreak in Am Timan. We have been meeting with several UN agencies to explain our surveying activities to find acute jaundice syndrome patients in the community and our bucket chlorination activities. In addition, we have been working together to improve our existing programs and to find other actors who can continue chlorination activities. Since the beginning of the project, MSF has been providing support to the STE (Societe Tchadienne des Eaux) to chlorinate the two water towers that supply the city with around 60% of its water; about 6,000,000L per week. 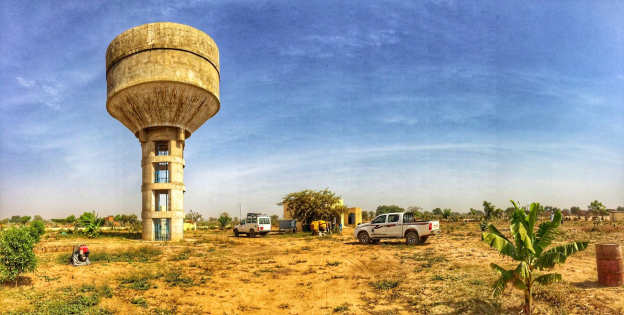 At the Taradona water tower, MSF worked with STE to empty and clean the 500m3 tower prior to starting chlorination. 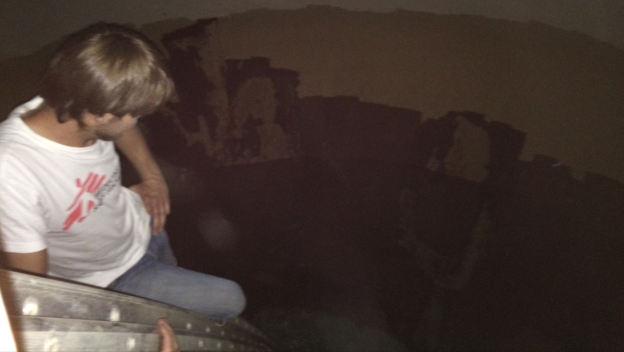 I got the chance to climb up the rickety metal ladder in my flimsy flip flops to take a look at the condition inside the reservoir. Meanwhile, the temporary jetted wells have been operating since the end of November and are now producing less and less each day. Both wells produce 150,000L/week and support about 400 users/day, with the nearest adjacent water point at 900m away. MSF has been advocating for other agencies to construct a permanent wellbore in the neighborhood of Ganatir where water sources are scarce. This month, Andrea and I attended the wedding of a colleague wearing matching dresses he had made for us. We helped prepare several traditional Chadian dishes, although with less grace, and then stuffed our faces with our hard work. Andrea is an MSF first timer from Canada (we actually live 3 hours from each other which is close in Canada terms) and we attended the same University without even knowing it! Over the past few months, we have become very close by talking about the Canadian Rockies and wine, and going on weekly camel BBQ dates.